Rising up from the gleaming lakes, Bürgenstock is set in a truly extraordinary geographical location. 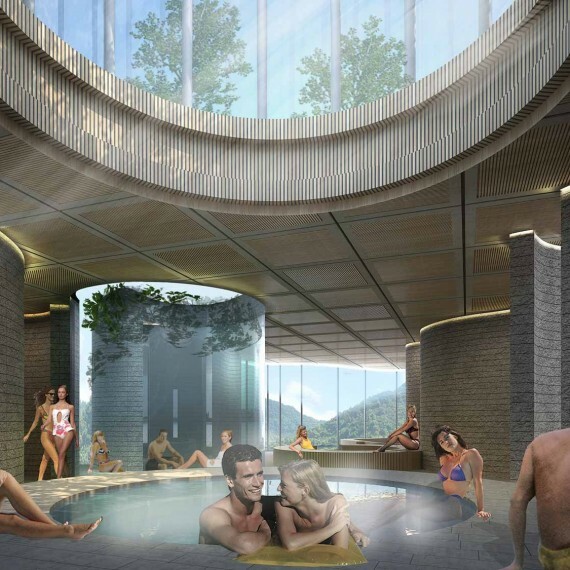 The setting of the new SPA, with its panoramic backdrop, commands breathtaking Alpine views and marks one of the most beautiful areas of the mountain resort. 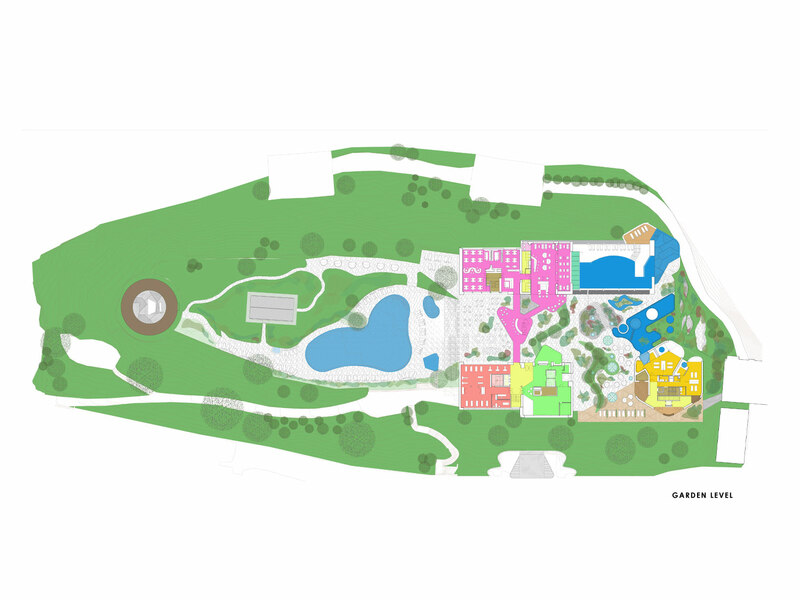 Through this architectural project, we have a unique challenge and opportunity to enhance the beauty of this piece of heaven. 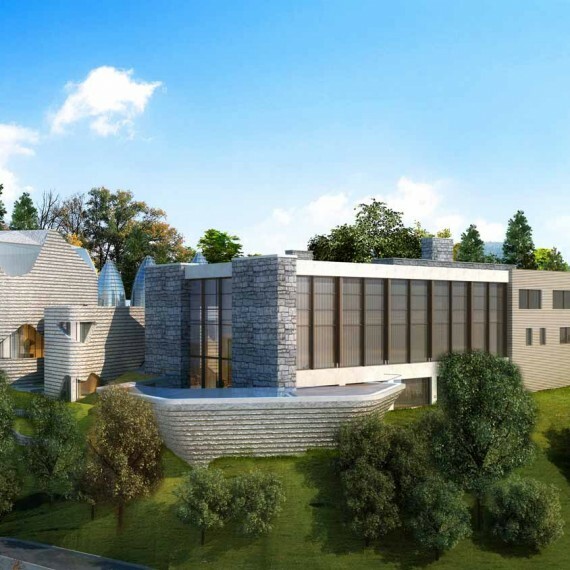 We will imagine building without building, rather, by creating a new garden that characterises the top of the SPA HILL. This new garden landscape sets itself in dialogue with the natural landscape, harmonising the flow of internal spaces that run out into the exterior in a continuum of emotions. 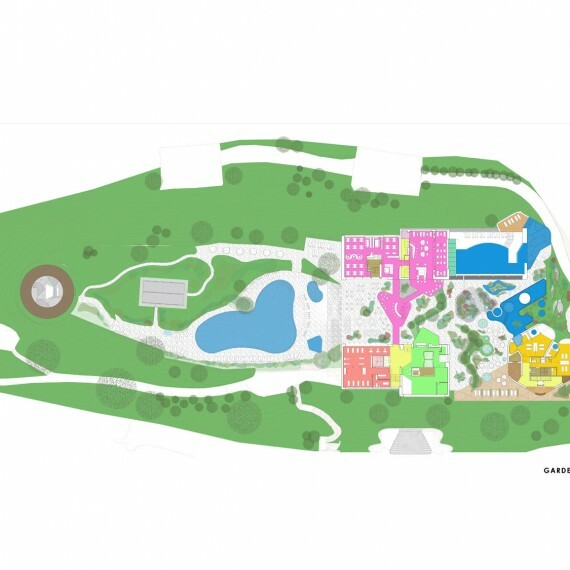 This architectural competition offers the opportunity to develop a concept that enhances the idea of SPA Resort as unique experience, set in a high value context. The goal is to create a new environment that both enhances and treasures the beauty of the existing. 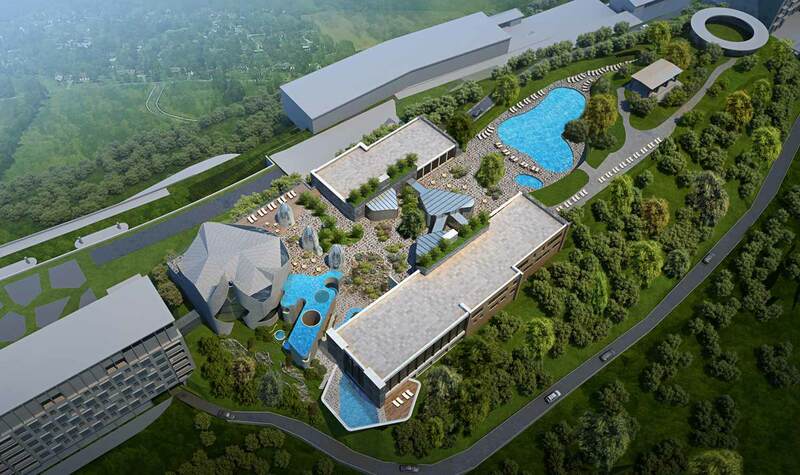 The strength of the concept will allow the SPA renew and build upon its worldwide reputation as a destination and will structure the efforts and development of the SPA in its future. 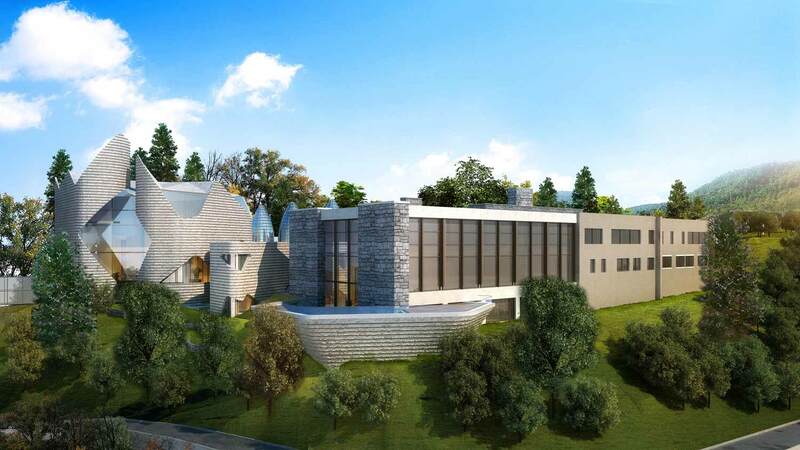 Seen from afar, set upon the Hill, the new ALPINE SPA reminds us of a lush romantic garden, designed to care for the body and soul. 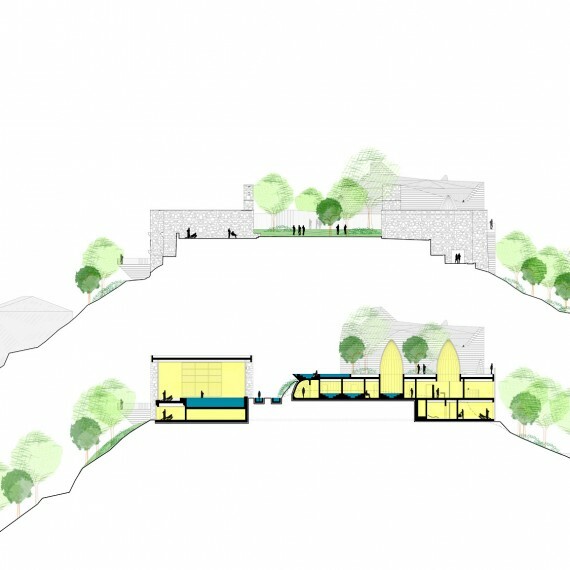 The proposed volumes of the SPA are placed in dialogue with both those existing and planned in order to achieve a harmony and to integrate all the built elements of the hill. 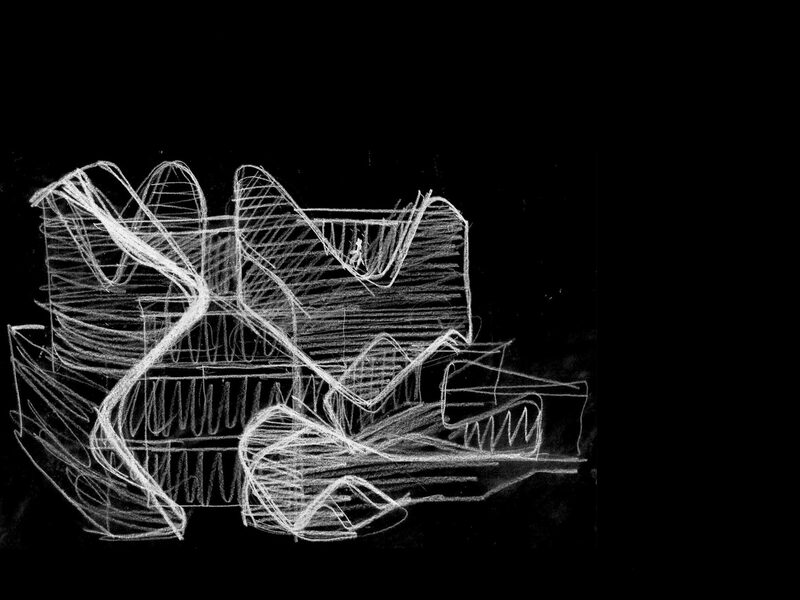 The precise geometry employed in creating the new volumes appears to refer to the existing geometry of the complex. 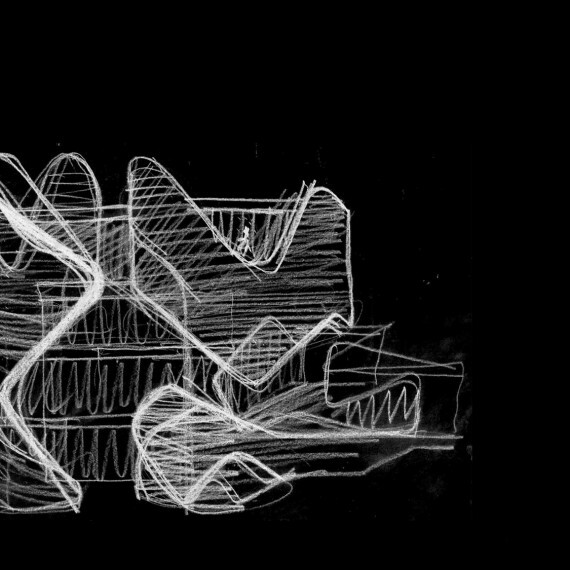 As a result, what becomes the ‘icon’ of the scheme is the interplay between the geometries, that is, the void between the volumes: THE ALPINE GARDEN that rediscovers the sense of lightness of sense of place and affords, to everyone, the vista of the surrounding beauty. 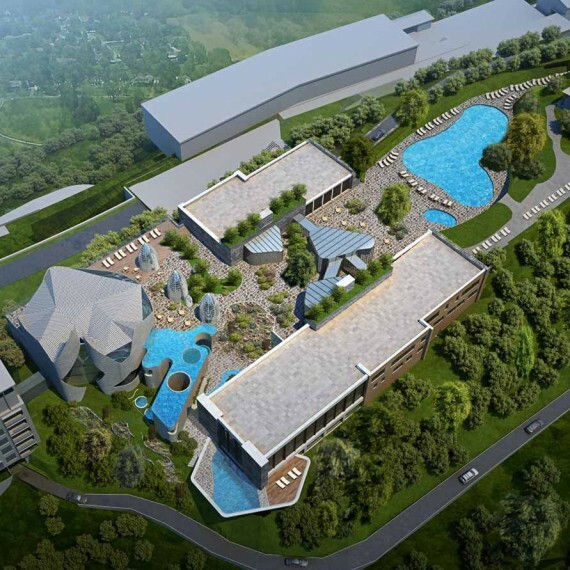 Close up, the new ALPINE SPA HILL is tailored to a human scale. It is a natural shaped shelter at the heart of the mountains and whose form is related to the body of the people who are here to enjoy this unique experience. A SPA should be the place one doesn’t want to leave and that back home, the memory remains as an unforgettable souvenir of beauty and wellbeing. 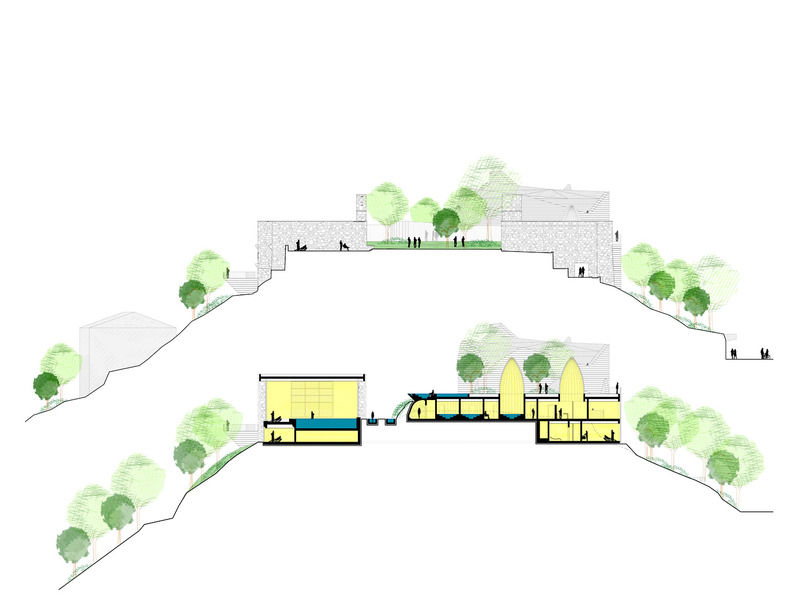 By designing the void rather than building the volumes, the guests will feel like they are hosted in the heart of the mountain, projected out to the Alpine landscape and at same time, sheltered in a welcoming atmosphere at their own scale. 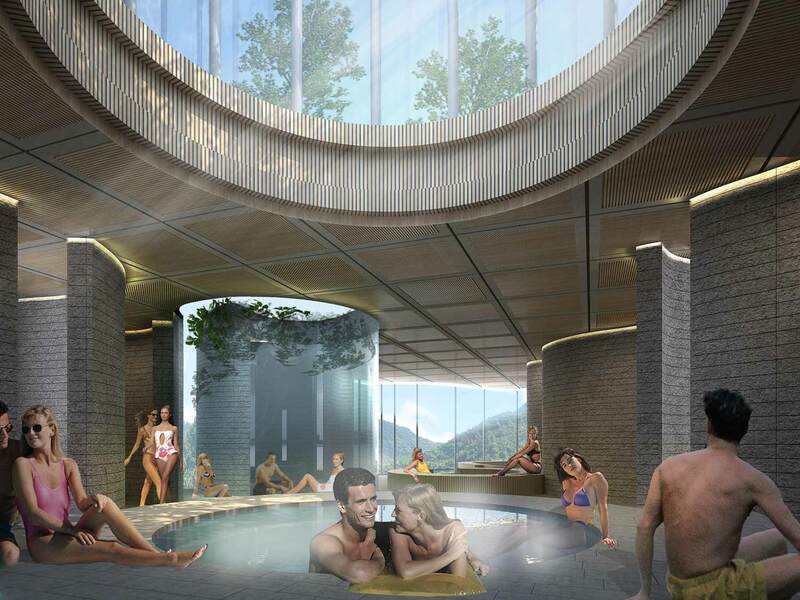 The indoor spaces of the wet-sauna landscape as well as those of the treatments are simultaneously related to and projected towards the near spaces of the new HILL GARDEN (the micro) and the far imposing background of the mountains and lakes (the macro). Through the changes of focus and the dilatation of the perception (close up – far) the impression is that the entire surrounding landscape belongs to the indoor spaces of the new SPA HILL.